Just How Much Plastic Is In The Ocean? 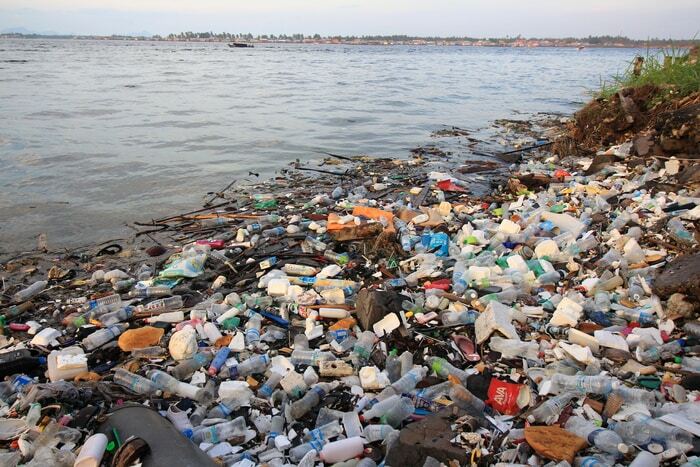 Home » Headlines » Editorials » Just How Much Plastic Is In The Ocean? As time continues to pass, you can guarantee that somewhere in the world, a truck full of plastics are doomed to be dumped in the ocean, further exacerbating the pollution crisis. Every year, more than 14 billion pounds of waste items are thrown into the ocean and more often than not, they are plastic materials, which it will not degrade for a long time, making it extremely dangerous for marine life. The main reason for this all trash ending up in the ocean in its current state is because of bad waste management, junk removal seems to be done in the wrong way too frequently. There doesn’t seem to be much incentive for people to not dump their rubbish despite being educated about how harmful it is. In 2017, we produced over 275 billion plastic bottles, this is predicted to rise to half a trillion by 2020. This year, 1 million plastic bags are used every minute and because of the common attitude to recycling, we are not getting rid of it and we are almost addicted to using plastic and continue to use it over and over again despite the warnings. There is over 5.25 trillion garbage in the ocean and that figure is constantly rising. Within that, 2.25 trillion is filled with plastic items, mostly water bottles and by the end of 2025, it is reported to be double that amount. Furthermore, according to research, if we keep dumping waste at our current rate, when we reach 2050 there will be more plastic in the ocean then fishes. According to the Proceedings of the National Academy of Sciences up to 80% of the ocean is filled with plastic waste and right now the only plausible thing to save the environment is to stop using plastics or recycle effectively, especially since on average, 80% of waste at landfill sites is considered recyclable material. Plastic should have been banned a long time ago in some capacity and finally, now some countries have banned plastic straws, which might be the first steps towards saving the environment but straws are just a small part of a wider concern, all plastic items are more dangerous to the environment and they should be heavily restricted. It’s not only bad for marine life, but it is bad for all animals as we continue to release high levels of dioxins into the atmosphere. We have to take action and find a way to inspire more of the population to change their habits.